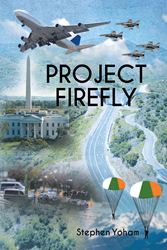 Recent release “Project Firefly” from Page Publishing author Stephen Yoham is a riveting book depicting scenes of action and circumstances involving covert operations and conspiracies. Stephen Yoham, the eldest of eleven children born and raised in Miami, Florida, and a passionate traveler, has completed his new book “Project Firefly”: a gripping novel following the efforts of secret service agent Hunter Mahoy as he races against incoming odds while retrieving a nuclear-powered aircraft and saving his friends from danger. Published by New York City-based Page Publishing, Stephen Yoham’s enticing narrative follows the survival skills of a government agent as he goes about his mission that could decide the fate of the world. Readers who wish to experience this masterful work can purchase“Project Firefly” at bookstores everywhere, or online at the Apple iTunes store, Amazon, Google Play, or Barnes and Noble.